Root access is a superior privilege on Android operating system. With it, you can do everything you want with the Android device, such as overclock processor speed, remove system apps or flash a new Rom. 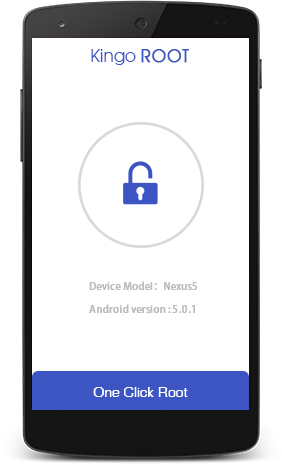 If you decided to root your Sony Xperia phone, but do not know which method is secure. In this article, I will try to explain to you how to root Sony Xperia phone with or without using computer. Rootable Sony Device: Xperia Z5/Z5 Premium, Xperia Z4/C4/M4, and Xperia Z3/Z3 Compact. * Make sure your device has minimum 50% battery left. * Fast and reliable Internet connection. * Enable the option install app from unknown sources. * Backup your important data. KingoRoot is the best rooting app for not only Sony phones but also for other Android devices like Samsung, LG and Motorola. You can search on their official page to see the device being supported or not. KingoRoot works on Android as well as Windows PC. In first part of the tutorial, we will use KingoRoot app to root your Sony Xperia phone. Step 1: Download and install the KingoRoot APK on your phone (Enable the option install an app from unknown sources). Step 2: Simply launch the KingoRoot app on your phone and press "One Click Root" to begin the root process. Step 3: Wait for few minutes till the result screen appear "Root Succeeded". Step 4: If rooting process is failed, please try again as it may happen for some server conflicts. In addition, if you have already rooted your device then go ahead. But if you have tried a couple of times but failed, then please try the KingoRoot Windows Version as I have mentioned earlier it has higher success rate compare to the .apk version. Step 1: Download and install KingoRoot Windows version from its official page. Step 2: Launch the KingoRoot application and connect your device to your PC with USB cable. Step 3: Please enable USB debugging mode, skip this step if you already have enabled. Step 4: Click on the button "Root" to begin the process. Wait for few minutes till the result screen appear… "Root Succeeded". 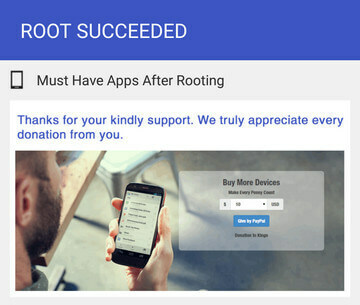 KingoRoot is a free and powerful Android rooting program. It can root hundreds of Android devices without any problem. I have tested it on my Xperia Z3 with Android 5.0. However, I make any guarantee because of different situations. As a backup, you can use Android Root Pro instead, which is another popular rooting tool but you need to purchase a commercial license first. Here is the tutorial on how to root Android phone with this app.